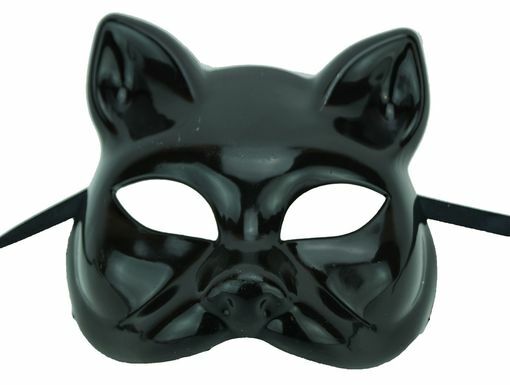 Black cat mask is made of a durable plastic. Stronger and more durable than paper mache. Mask is hand painted gloss black. Comes with black ribbon ties.